Menabilly is an old family estate set in woodland on an unspoilt peninsular halfway between Plymouth and Falmouth and close to Fowey and St.Austell on the South Coast of Cornwall. The lovely port of Fowey lies three miles to the east of Menabilly. 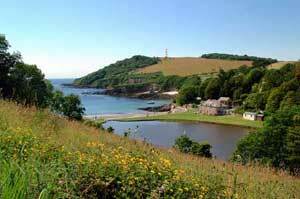 At the mouth of an estuary, Fowey provides good recreational sailing as well as being a commercial port for ships of up to 12,000 tonnes calling to load cargoes of China clay. This part of Cornwall has something to offer the visitor at all times of the year. Visit the Eden Project, just four miles away. Get away to a part of the country where the pace of life is gentle and really relax. 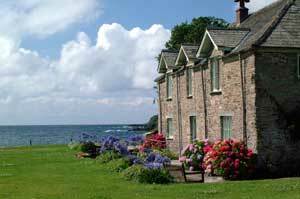 Enjoy the coastal walks which always have something to offer, perhaps more so outside the heat of summertime. Come in the Spring and witness the glorious awakening of the gardens of Cornwall with their rich profusion of Camellias, Rhododendrons, Daffodils. What better than to come in the Autumn after the equinox when the first storms come in from the Atlantic - nothing better than to feel the stiff sea breeze in your hair blowing away the cobwebs and the clamor of the world outside. Or on a beautiful November evening stand nearly alone on the headland and contemplate as you watch the sun setting over a glistening sea. Start your own book - someone else did who used to walk these trails. 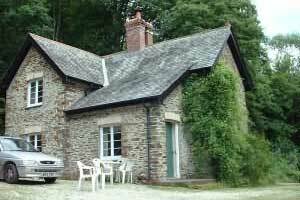 The Menabilly Estate offers these two furnished cottages as holiday lettings - click on either of their pictures, or on the Cottages button, above for more details.